The adaptation of the premises of the local unit of Ministry of Agriculture, Forestry and Water Management in Kocani has been paid by the state. At the same time officials in charge of this regional office asked for additional money from businesses to pay for the reconstruction of the premises. Center for Investigative Journalism SCOOP Macedonia came to the document that employees of the local unit in Kocani used in the companies asking them to pay money to the Kocani company. The companies submitted the document, but with a covered name and address, visibly annoyed and scared. The reason for this is fear of retaliation by state institutions. “There was not such collection of taxes even in Turkish times. I do not know how to define this, as a blackmail, racket or begging. Who takes the money, where they go, I do not know”, says the owner of an agricultural company who delivered the document to us. 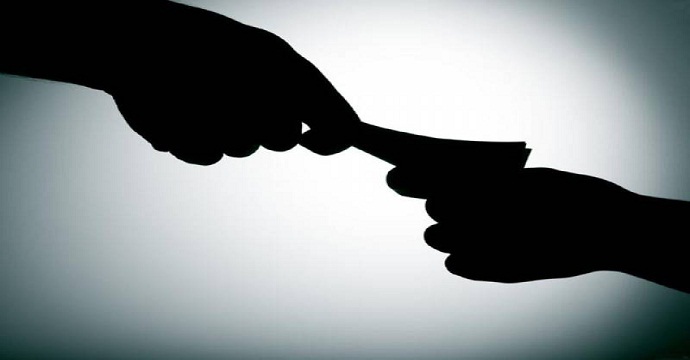 This, according to the institutions responsible for combating corruption, is seen as illegally racketeering companies. Ana Janevska-Deleva from “Transparency Macedonia” adds that this kind of work in a state institution is impermissible. “This is a classic racket from a state institution to private firms because it is not known how it is selected and what the company to which payments should be made is. Also, the state institution should have announced a call for public procurement”, says Janevska-Deleva. She adds that the companies who choose to pay will be privileged over those who will not pay. We asked Sladjana Taseva, president of “Transparency International” for her opinion on this document, but although we have been waiting for more than 40 days for her reply, she has not replied yet. In truth, the Ministry of Agriculture, Forestry and Water Economy submitted a letter duly signed by the Minister Mihail Cvetkov, that there was a tender for the reconstruction of the premises, and the winner of the tender was the Skopje firm MAK BIS Engineering Ltd Skopje, as giving the most favorable bid. “In the procurement process for the renovation of offices 9 legal entities participated, of which 6 in electronic auction. The company you cite has not applied at the public call of the Ministry of Agriculture, Forestry and Water Management and has not taken part in the procurement process for restoration and renovation of the office in the local unit”, it is said in the response of the Ministry of Agriculture, Forestry and Water Management. 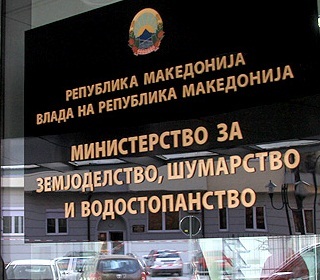 The request for free access to public information was submitted to the Ministry of Agriculture on 4th August 2014 by the Center for Investigative Journalism SCOOP Macedonia. In mid-August employees in the local unit in Kocani and inspectors from other institutions reportedly asked the companies to return the disputed document, which required the payment of money to rebuild the premises at the expense of Kocani firm, back. Apart from this, they were allegedly asked to deny receiving such a document, if a journalist asked them for information about this request. In the letter sent to us by the Ministry of Agriculture, Forestry and Water Management it is stated that the present document has not been sent to the companies at all. “According to the Regional Office Kocani, the document has not been sent to a single entity, and has been ANNULLED in the regional unit in Kocani in an appropriate legal action, for not receiving approval from the Department for coordination and organization of regional offices for further action. The Sector for coordination and organization of local units indicated to annulment of the document”, it is said in the letter of the Ministry of Agriculture. 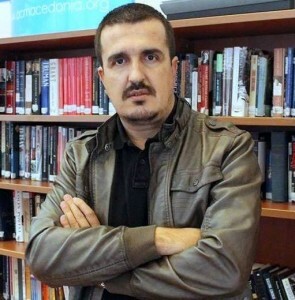 The documents were delivered to the Centre for Investigative Journalism SCOOP Macedonia by a farmer, who had received the request, reportedly personally by officers in Kocani regional office. “I made a payment to that Kocani firm, because with a letter, the Ministry required it from me. I remember, the document had the firm’s bank account in Tutunska bank. To date no one has returned my money I paid for the renovation of the premises in Kocani”, says a farmer from Kocani. This denies the letter of the Ministry of Agriculture that the document has been annulled and has not been sent to entities in Kocani. Owners of agricultural firms are afraid to talk about the request of the regional branch office of the Ministry of Agriculture, Forestry and Water Management. Some of them emphasize that they know about the document, but deny being submitted to them, although some of them knew that the request was submitted to Kocani physical and legal entities. Vanco Georgiev, owner of greenhouses Green house, from Gorni Polog, Kocani, is not familiar with the reasons why he was not sent the letter to pay money to the infamous firm from Kocani for reconstruction of the premises of the Ministry of Agriculture in Kocani. “Maybe I am a bigger owner of an agricultural business or from another political option, so I was not submitted a request to deposit money for the reconstruction of the premises”, says Georgiev. Not even Sotir Angelov from the firm BNP of Kocani village Zrnovci has received a request. “I was on vacation when the request was submitted to some of the agricultural companies and maybe therefore there was no such a request to my company”, says Angelov, owner of an agricultural firm in Kocani. Vlatko T., rice and grain products tradesman, also denied being sent a request for reconstruction of the premises in Kocani. He denied having paid money to that company. Sources of SCOOP Macedonia say that the money they paid for the reconstruction of the premises has not been given back to them yet. Next Next post: Pollution does not stop, every year 4,500 new cancer cases!